Stretching insulator. 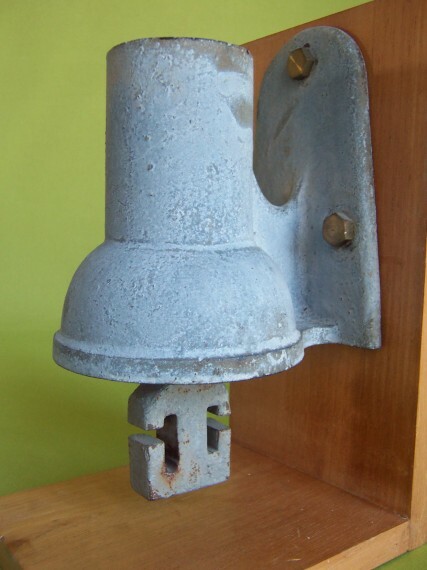 This type of insulator was placed at intervals along the line and the wire secured by a wedge. Many thanks to Rob Wilson who supplied most valuable infomation about the purpose of this insulator.